This is a very large comfortable suite has an Emperor four posted (2m x 2m) sitting majestically affording extensive views toward the English Channel. 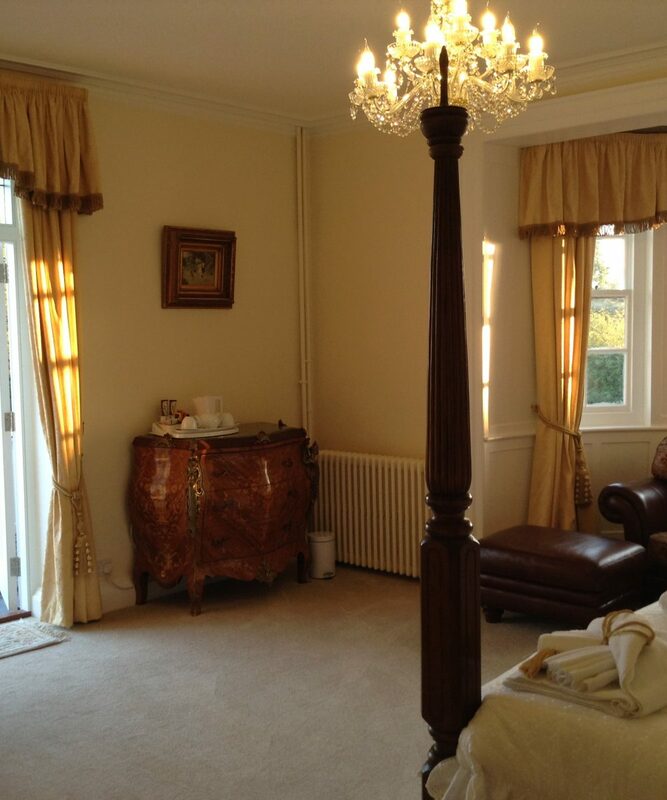 In the suite is a large bombe chest of drawers deep comfortable two seat sofa and a wide built in wardrobe. An additional soft seat and plenty of space for hair and makeup. A Cat6 socket and good strength WiFi ensures you will always be in touch or entertained as you prefer. 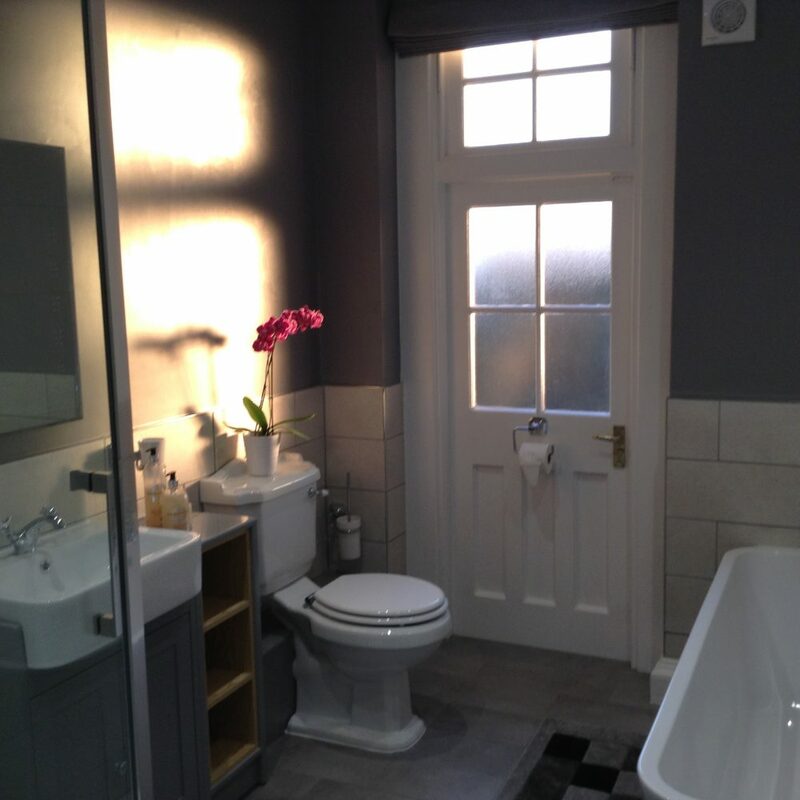 The adjoining en-suite bathroom has a feature shower and deep bath both of which are large enough for two. This bathroom has another large feature shower offering space for two people, the shower has an overhead rain shower as well as a hand operated small shower should you prefer to keep your hair dry. We have mains pressure hot and cold water and a heated towel rail next to the shower. The bath here is a double ended centre fill bath, it’s deep so be prepared to really relax. The adjoining suite with lockable connecting doors is the Avenue suite, both suites are the closest to the Hennessy Bridal suite preparation room. 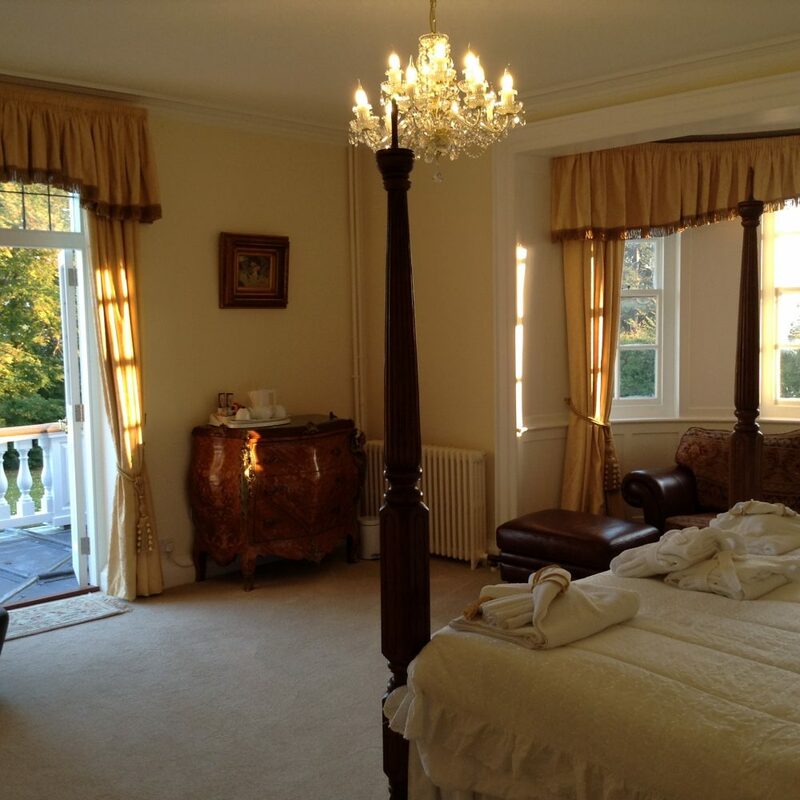 Like the Amberley and Avenue suites the Rye suite is only available when taking all of the accommodation. With access to the balcony extending the width of the property you have extensive views and plenty of space to relax with family.